This website was created to support my 2014 tour of Greece with fans and friends (now, all friends, and hopefully still fans) and we’re already working on another round in November of 2015. So this is the right place–you’ll see updates on the sites and writings–and the Martial Arts–over the next few months. But I’ve also decided to start writing some book reviews. Here are my ground rules: the book has to deserve 5 stars to get reviewed, and it has to be on Greece, Martial Arts, or both (pen and sword, you see). 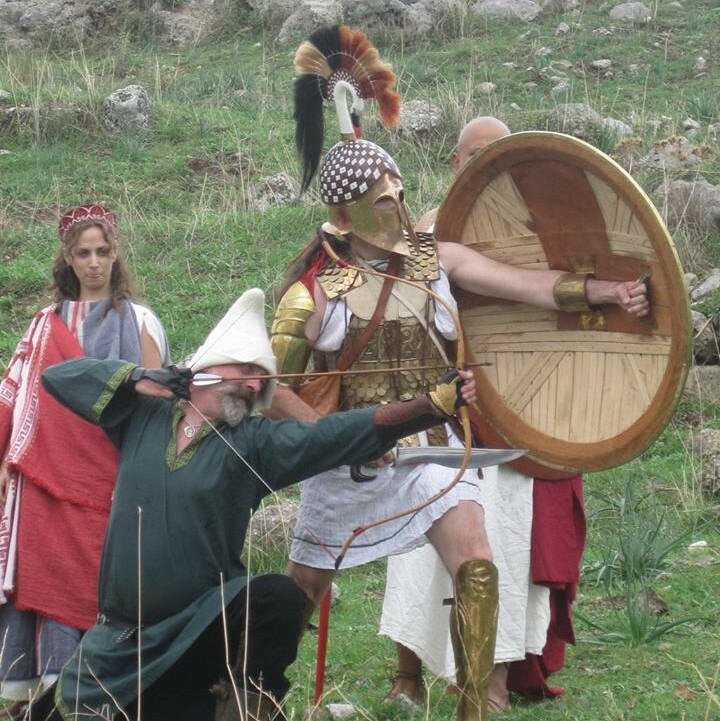 I also run a large reenactment group that has ‘490 BCE Greece’ as one of its three time periods. (The other two are 1777 Loyalists in the American Revolution and 1385 English and French Mercenaries in Italy. Just by the way.) Since we started working on the late Archaic period back in 2008, relative newcomers have asked me to name one book that they could read to ‘get into the topic’ of hoplite warfare and Archaic Greece. I’m pretty sure that this is the book. And it fills an important niche in the literature, because, since Connolly’s ‘Greece and Rome at War’, there hasn’t been a survey of the period that was, on the one hand, scholarly and carefully researched, and on the other hand, included period equipment and vase paintings as well as modern illustrations to illuminate the reader as to what things might have looked like. 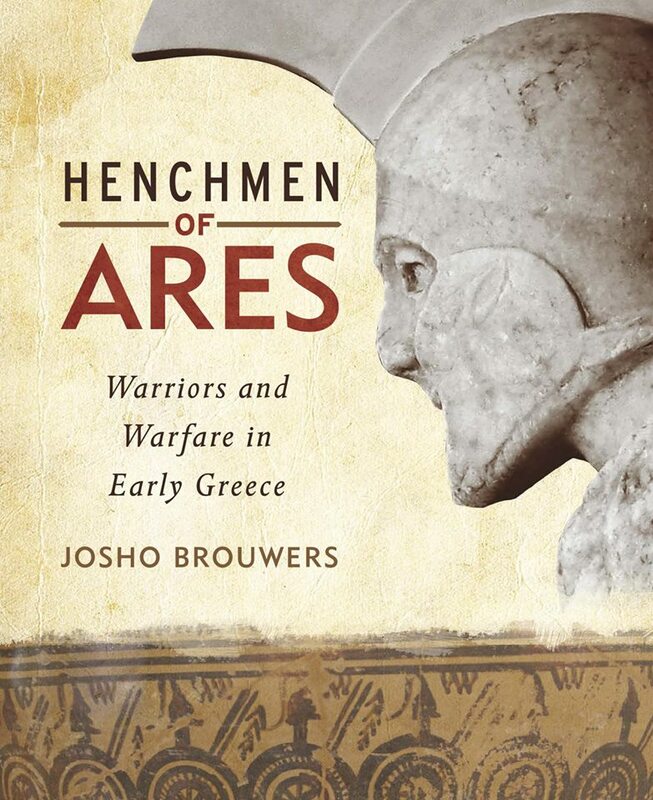 ‘Henchmen of Ares’ is, I think, the best comprehensive treatment of the origins of hoplite warfare since the ‘Heretics vs Orthodox’ debate began in the 1980s. Brouwers is a member of the ‘Heretic’ camp and so am I, but he deals with the evidence in an even-handed way, and his Bibliographic Notes are masterful—in fact, they are the core, or even the spine, of the whole argument, and the reader who looks at the pretty pictures and reads the chapters but skips the ‘notes’ is missing what I see as the very best of the book. There are places where I disagree with Brouwers on everything from chronology to society, but that in no way detracted from my enjoyment of the overall view. If you wish to read one book as a companion to my ‘Long War’ books, or Pressfield’s ‘Gates of Fire’, or if you plan to come and reenact at Marathon, I recommend that you read this, and then start reading your way through his bibliography. In my reenactment group, my friend Nicolas Cioran calls reenacting the Archaic ‘The Journey into Complete Darkness’ not least because there is so much dissent among scholars. Brouwers has, at the very least, come with a torch.